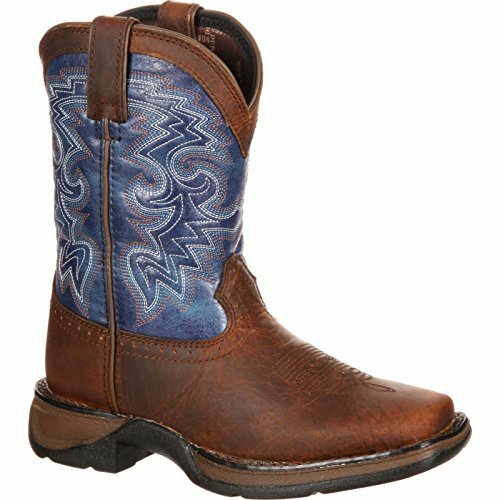 Lil' Durango toddler raindrop western boots give your toddler cowboy boots with classic western styling. 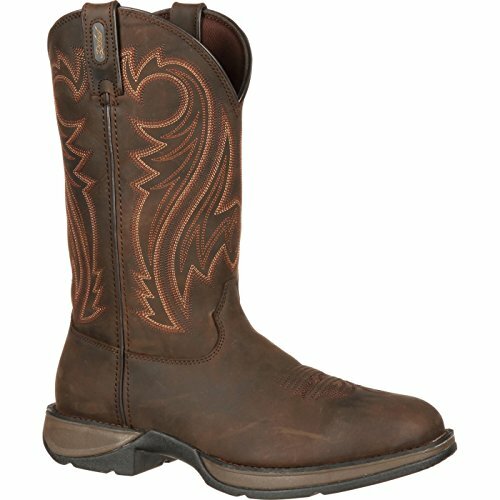 These western tan and midnight black full-grain leather boots have a cowboy heel and are eight inches tall. You get rough;˜n' construction with double-row welt stitching and a rubber unit outsole. Inside is a steel shank for foot support and comfort from the cushion flex insole and soft mesh lining that provide ventilation. Pull straps and pull loops top these children's boots. If you want kids' cowboy boots, get the lil' Durango. 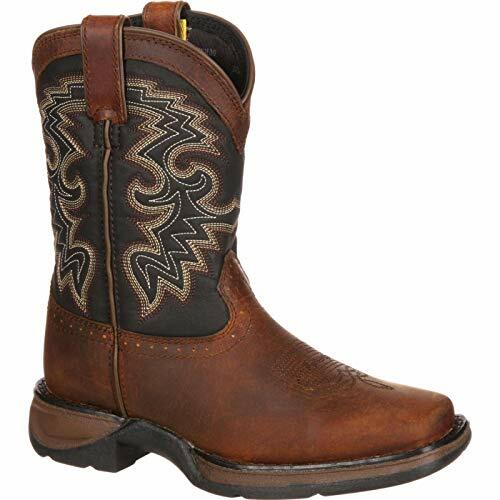 This work-ready Western boot blends classic embroidery design with heavy duty functionality. 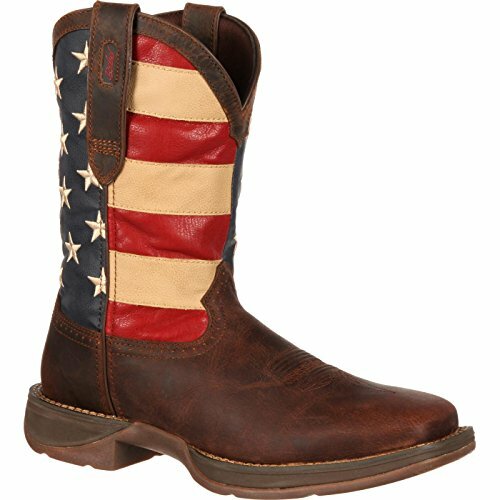 Lady Rebel by Durango; Women's Bar None Western Boots aren't just pretty western work boots. 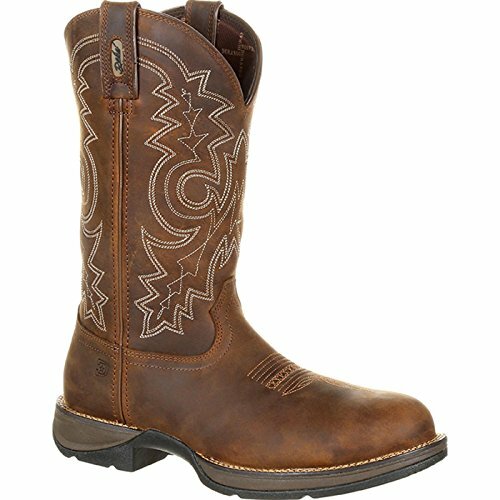 These are women's comfortable boots, too! 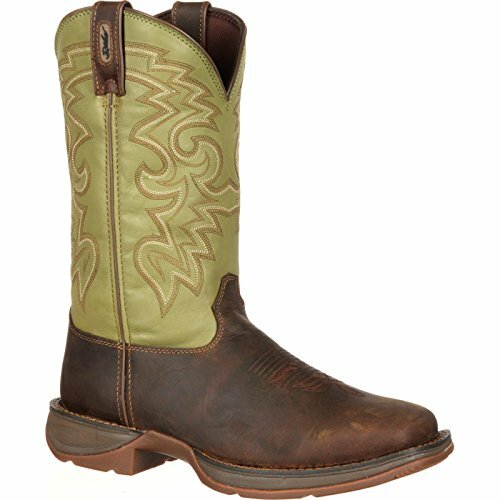 The cowgirl boots are 12-inch distressed full-grain leather boots with a rich brown foot topped with a wonderful color called ;turquoise Loving' ;. 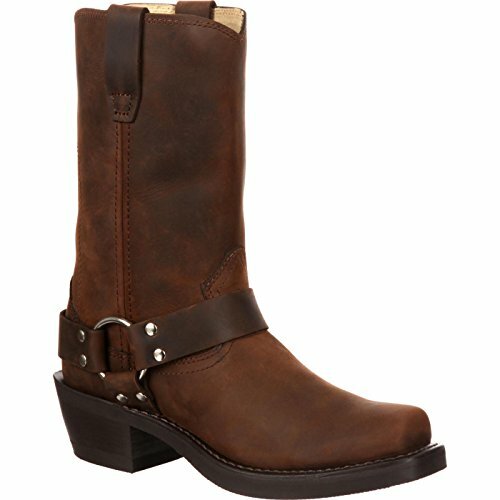 Inside these women's western boots is a contoured, ventilated, removable cushion footbed and a Cushion Flex insole. A lightweight EVA midsole adds cushioning and comfort. These boots have a tempered steel shank in a rolled shank area. Dual-density rubber outsoles are great for working, riding or walking. The rubber outsoles help you keep your footing on smooth or slippery surfaces and assist in absorbing the impact of walking. 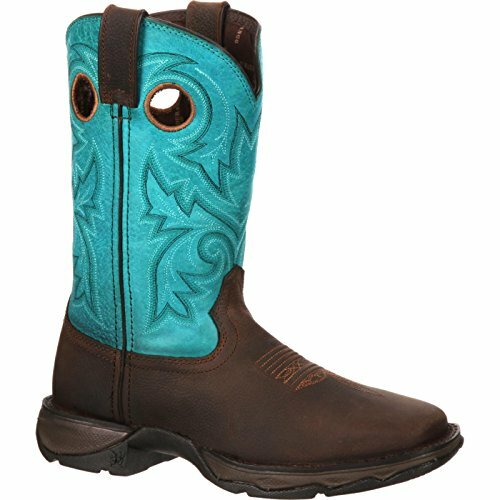 Pull straps and pull loops help you get these boots on each day; and when you can have comfortable turquoise cowgirl boots, you'll choose to wear these time and again! 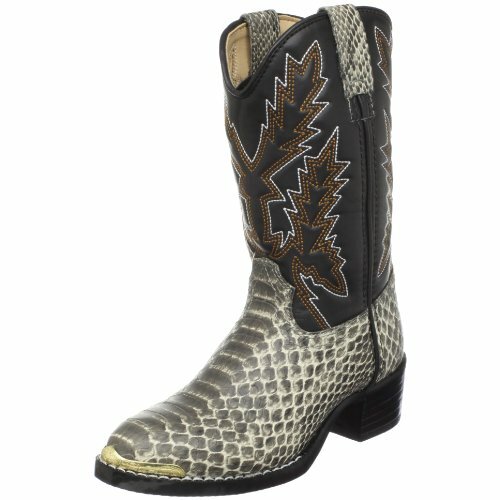 Keep your child in style when you slide on these Laredo natural white / black snake print boots. Features include a snake print foot with a urethane shaft, cowboy heel, R toe and a toe rand. 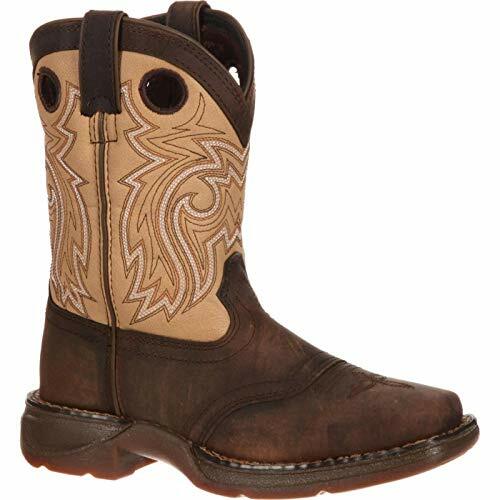 Lil' Durango; little kid western boots give your child a pair of cowboy boots with classic western styling. These dark brown and navy blue full-grain leather boots have a cowboy heel, a square toe and are eight inches tall. You get quality construction with double-row welt stitching and a rubber unit outsole. Inside is a steel shank for foot support, and comfort comes from the cushion flex insole and soft mesh lining that provides ventilation. Pull straps top these children's boots. If you want great kids' cowboy boots, get the lil' Durango. 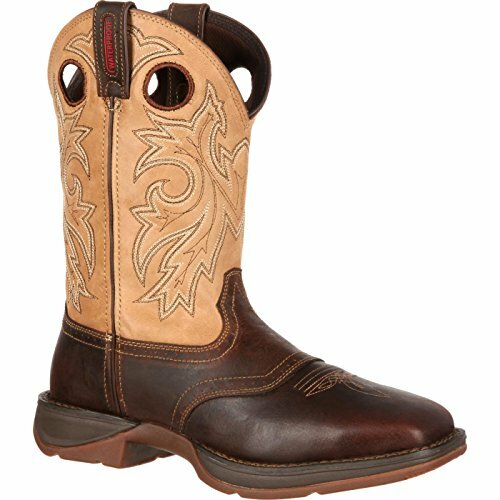 For your day-to-day activities, these Rebel by Durango Saddle Western Boots are ideal. They are a great combination of style, comfort and durability. The bark brown color and the quality of the full-grain leather enhances the upper. 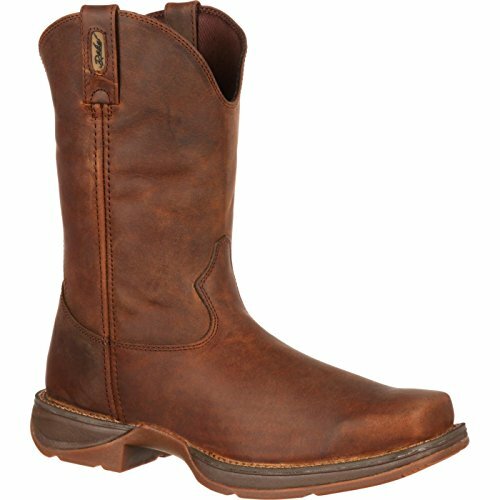 Since pull-on boots aren't always easy to get on, this Rebel by Durango Western has finger holes to assist you. The use of double row welt stitching gives staying power to these 12 ; Saddle boots. Cushioning is provided internally from the removable footbed. 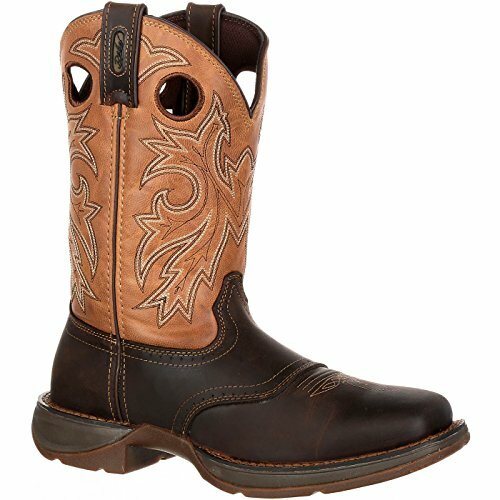 Also, the insert is ventilated, so your feet will remain cool and comfortable inside these Rebel by Durango boots. With the Flex insole, you will be able to bend or squat down with ease. A tempered steel shank reinforces your footing and provides you with arch support. The outsole is made of two consistencies, rubber and EVA. With this outsole, you'll have equal amounts of steady grip and cushioning. The Rebel Heel is 1 3/;, so you will be able to walk naturally in these men's boots. These are a lightweight, cool-looking pair of boots; order your pair today so you can feel its comfort and appreciate its style firsthand. Lil' Durango; little kid let love fly western boot are pink and brown kid's boots that look great. Made of full-grain leather, the foot of the boot is brown and the bright pink shaft is topped with brown pull straps to match the foot. The boots have white embroidery and white piping. In addition to the leather, quality comes from double-row welt stitching that gives the cowgirl boots durability. The boots have a one-inch heel and a square toe. The rubber outsole provides traction on smooth surfaces and flexibility with each step. These girl's boots are comfortable with a cushion flex insole and soft mesh lining that promotes air flow. A steel shank provides arch support. Soft Bite Floppy Discs Are A Doggie's Dream Come True. 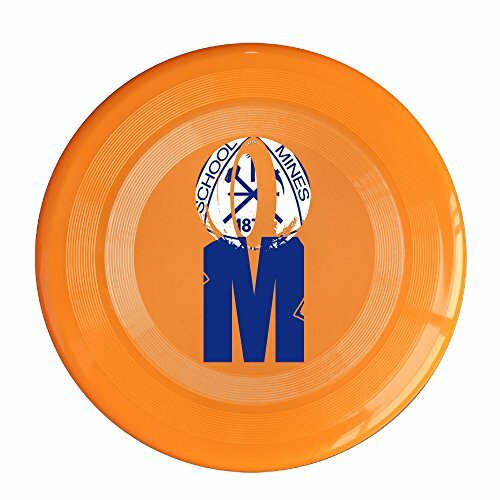 Perfect For Play In Your Yard Or Park And The Kids Love Them Too. You Can Fold Them Up To Carry In Your Pocket Or Pack, They Pop Out Ready To Play. If They Get Dirty You Can Clean Them Up In Your Washer Or Sink And You Can Even Turn Them Over And Fill Them With Water To Give Your Doggy A Drink. 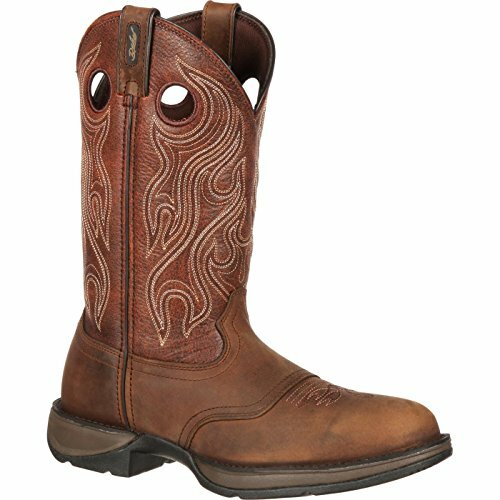 A classic western boot is infused with a hard-working rubber outsole for a rough and rugged effect. Enjoy a long ride on the country roads when you pull on these motorcycle boots from Durango. 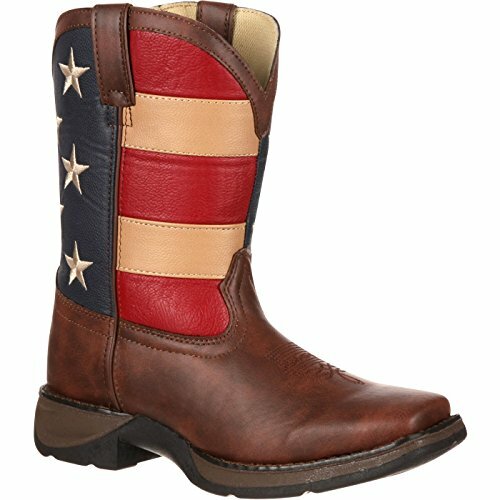 These boots have leather construction with a faded stars and stripes pattern on the upper. The harness detail and square toe will make these your favorite riding boots. Ride free when you pull on these motorcycle boots from Durango. 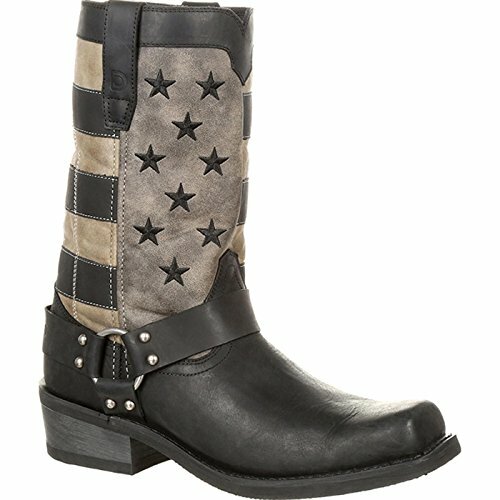 Durango Women's Philly Accessorized Western Boots are black boots that combine grace and toughness into boots you can customize. The features that stand out on this footwear are the various full-grain leather accessories you get with these women's boots. Wear them all, mix and match for the combination you like, or wear just one. You create your own looks with these dress boots, so you'll never run into a woman with the exact same look. The straps have buckles and antiqued metal hardware for an edgy element. City meets western in these tall boots. You'll also find these to be comfortable boots for women. Inside is a Cushion Flex insole, soft mesh lining for air circulation and a tempered steel shank for arch support. The boots for women are 14 inches tall with a 2 1/2-inch heel and a round toe. The outsole has a smooth filigree finish: an extra nice detail for when you put up your feet or kick up your heels. Material: Leather.